But if you are going to cook the tomatoes down into a red sauce, there is no difference. A thousand dago grandmas just turned over in their graves. I guess there are 2 schools of thought on stuff like this, the romantics and the pragmatists. Both right in their own ways and never the Twain will meet. Do you grind down/mill your own flour for your roux? I collect the choicest manure from Wagyu cattle, then mix it with river silt and volcanic soil to create the perfect bed to grow hand selected wheat seeds in. Then I sing to them every day as they grow and water them with fresh spring water from a Himalayan glacier. Then I harvest them with a scythe made of Damascus steel i’ve Forged myself. Then I mill the wheat using a mortar and pestle. I knew you didn't keep your purchases local. Yuppie. In a jar well we tried it and doctored it and will never geaux there again. Threw at least a gallon in the bayou at the camp the next morning and heard the catfish meowing away at high speed. You mean flour and oil? This is what I've always said. Cottonseed oil is another oil I've seen listed on jarred roux. There's a difference in flavor to me, but what in the hell do I know! Well you we must not know anything guys, because ft and others said roux is all the same just flour and oil. I guess “bread” is all the same to them too. In 2005 I advanced to the finals of the state gumbo cook off for the KC'S. I used Savoies roux. Follow the recipe and you can't go wrong. Where it says a Tbsp use a heaping Tbsp plus some. The roux has to boil for at least an hour, with the trinity. 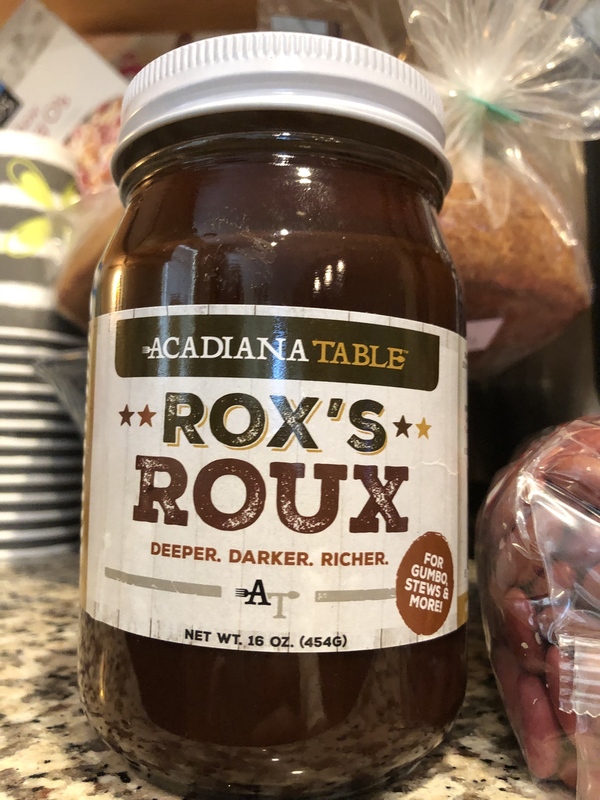 Use the dark roux. I'm not gonna sit here and act like you can't have different flavors in a roux, but this comparison is laughable. just flour and oil. It is. Answer one question though...is all oil the same? There, and the cooking process itself, contains the nuance. Suggesting that roux is “just oil and flour”, while technically correct, completely disregards all the other factors. Admittedly, I'm not a world champion roux cooker. I'm just a guy who makes a simple vegetable oil and flour roux 99.9% of the time. Which, I am pretty sure is what the OP was looking for. No and I'm not saying it is. It is however just fat and flour. Ftr, I brown my sausage, add bacon grease, brown my chicken, add more grease, and make my roux with that. It pulls up the brown bits into the roux and makes it richer imo.